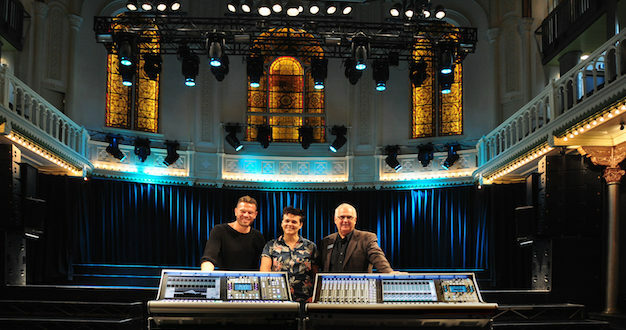 Legendary central-Amsterdam music venue Paradiso has chosen SSL Live consoles for both its Front of House and Monitor positions. 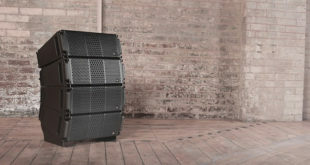 Supplied by Dutch pro audio specialist and SSL partner Audio Electronics Mattijsen (AEM), an SSL L500 will be used for FOH, with an L300 handling monitors. Paradiso began its life in 1968 as the ‘Cosmic Relaxation Center Paradiso’, after an abandoned church was squatted in 1967 by hippies intending to turn it into a music venue. Since then it has become an icon of popular culture, playing host to some of the biggest bands and artists such as the late Prince, The Rolling Stones, Red Hot Chili Peppers, U2, and many more, who see the Paradiso as an essential and intimate stop on tours that normally fill venues many times its size. After recently investing in a new Adamson PA system, the Paradiso team drew up a short list of candidates after discussing all the options for audio consoles, then held three days of testing to decide on the winners. Marian Emmen, head of sound and production at Paradiso, explained: "Around 20-30 percent of acts bring their own Front of House desk, or monitor desk, or both. The rest will be using the SSLs, and might only have ten minutes to learn to use them… Sometimes we do mini festivals where we have five bands on in a night… We have one sound check, and the rest has to be done on-the-fly. "Importantly, in Amsterdam there is great support from AEM – a solid company that has its own service department, which makes our system engineer very comfortable when it comes to maintenance and support. 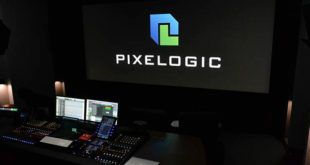 Also, SSL is a well-known company with a great reputation for support and that definitely played a role in our decision to buy the Live consoles." 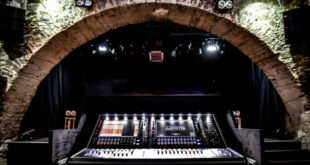 For visiting engineers who have not experienced SSL Live before, the set-up can be easily simplified to familiar input channels, traditional buss types, and straight-forward fader layouts. "If you set it up properly," continued Versteegh, "An engineer can ‘get it’ within five minutes and start mixing straight away… And of course it really helps that you can change things without disturbing the sound… That’s a big improvement on what we can do now…"